Have you ever made your own croutons? It’s really not that hard…in fact it’s rather easy. I’ve been doing this for years and my family loves them. They’re cheaper than store-bought and they don’t have a bunch of additives in them…well that’s if your bread is good. 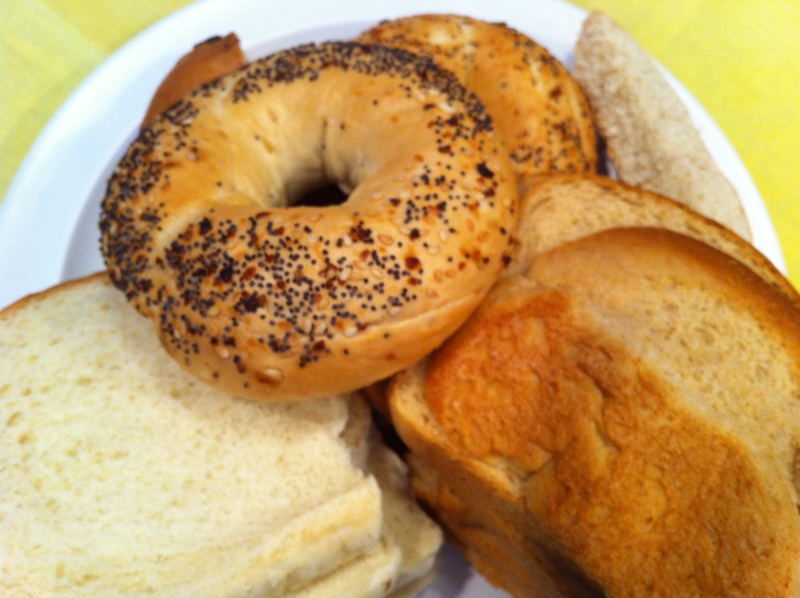 I just use anything I happen to have on hand…bagels, French bread, crusty bread, baguettes or sandwich bread (a bit too thin, but it works). I made these croutons for some friends who came to dinner once. 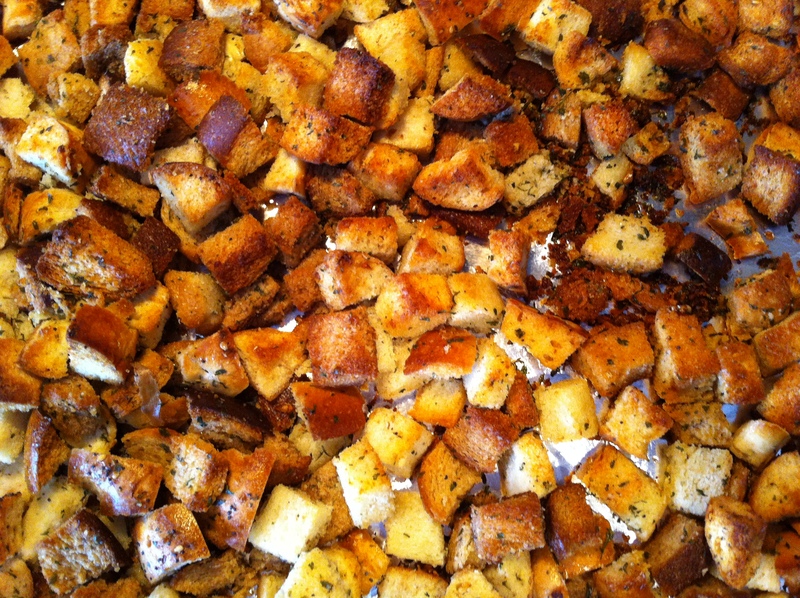 After tasting them, the son exclaimed “the world should know about these croutons…”. I’m sure the world won’t ever know about them, but you can and that’s good enough for me! I use them for soups, salads and snacks too. 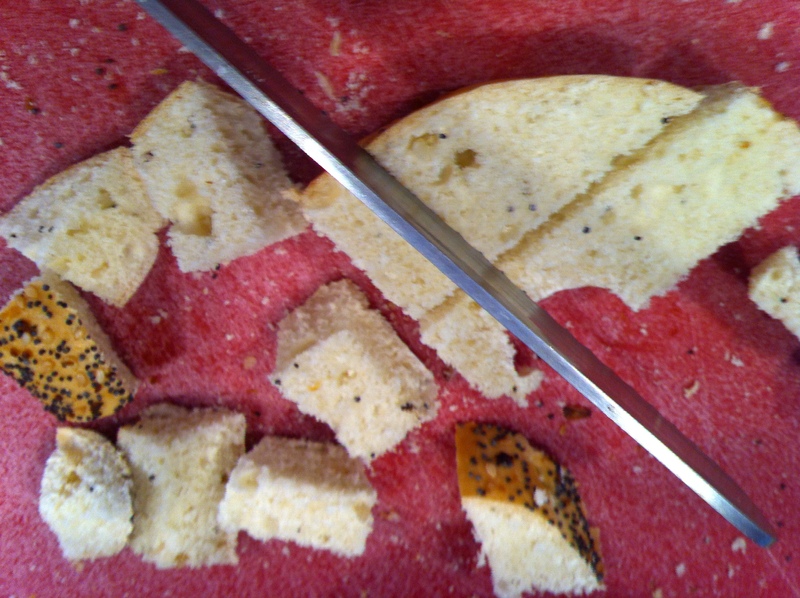 You can vary the flavor of the croutons by using different dried herbs. Peel garlic. 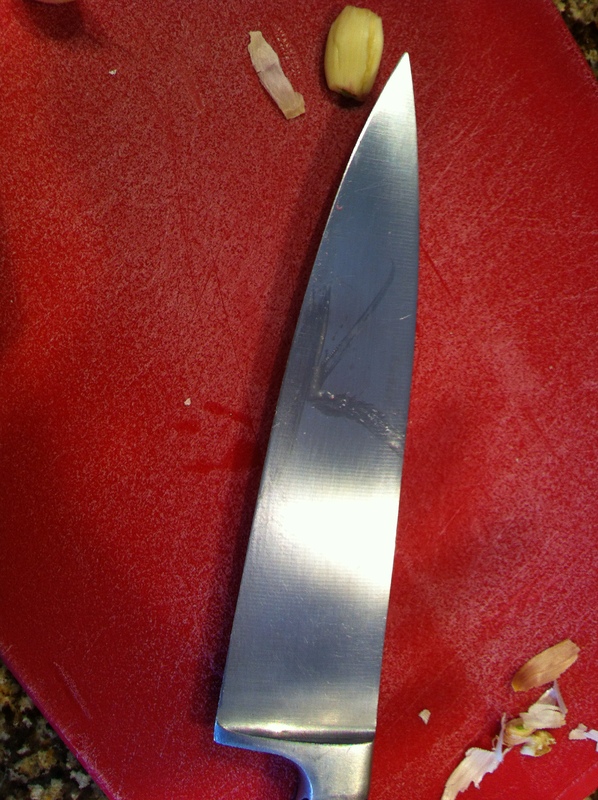 Make this easier by hitting the clove with the side of your knife. Peeling will just slip off. Chop each clove in half or thirds. 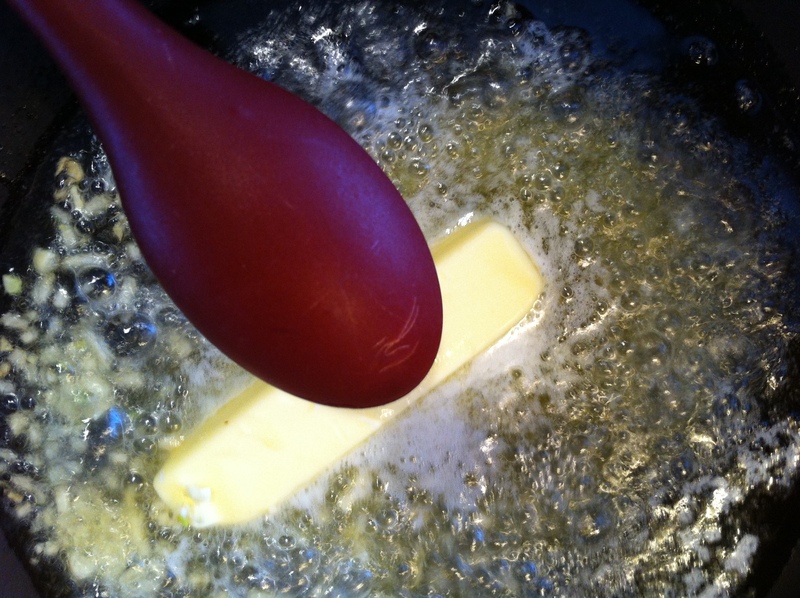 Place with butter in small pan and melt. Let stand for 1-2 hours to infuse the butter with the garlic flavor. This is better than putting chopped garlic in with the bread as it burns in the oven. Cut bread into bite-sized pieces and place in a large bowl. Chop fresh parsley and add to bread. Add parmesan cheese and toss. Remove garlic from butter (or chop it up and leave it in) and pour over bread. Splash with olive oil and stir to combine. Add salt, pepper and garlic granules to taste. Spread out on flat pan (jellyroll with sides is best) sprayed with Pam. The world should know about those Croutons! I agree that the world should know about these croutons!!!! these are THE best croutons EVER!!! Store bought croutons taste like the box they come in. Viva homemade croutons! Your blog is making me hungry. Stop it. It is bedtime. MUST. STOP. READING. YOUR. DELICIOUS. BLOG. AFTER. DARK.